The Mountsorrel Railway Project aims to recreate a forgotten industrial steam line, which was once crucial to the local community. The Mountsorrel Railway was built at the turn of the 20th Century to deliver stone from the Mountsorrel Quarries to Swithland Sidings on the Great Central Railway. There, trains were marshalled and sent on to their destinations all over the country. The present day Great Central Railway aims to recreate this industrial scene and, with the completion of the signalling scheme at Swithland, will also be able to provide branch line passenger trains. This will be a unique recreation of branch line trains joining a double track main line. 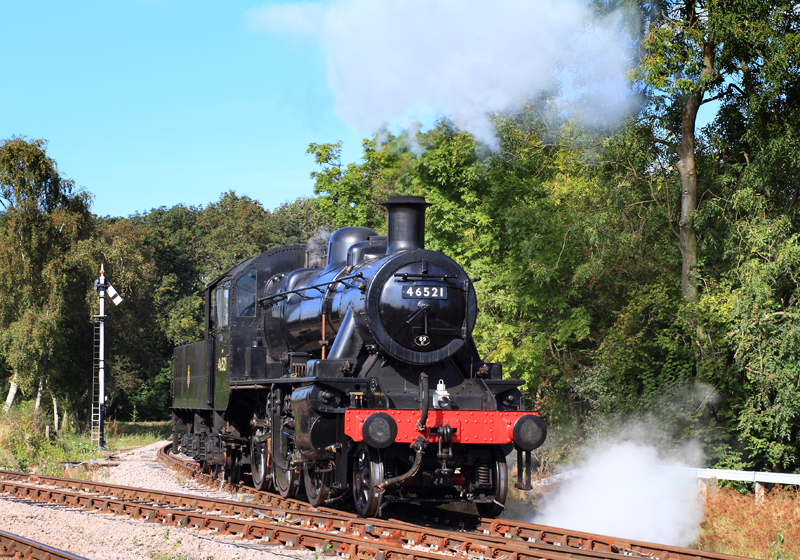 The first steam train for 50 years! of the local community, by working with schools and other groups, and by promoting ecological aspects of the project. There is now a core of approximately 120 regular volunteers offering different skills and time commitments to the project. Local schools have been involved with ecology study sessions as the route was cleared prior to reconstruction. These included the replanting of native wild flowers, the provision of bird boxes and the encouragement of other wildlife habitats. The project ran a series of visits that allowed over 400 children to learn about their local history and also helped to boost the ecosystem along the sides of the track-bed. Children grew native wild flowers which they then planted alongside the route. The planted sections contrasted starkly with the sections left to run wild, which had filled with nettles and thistles. Not only does the improved diversity of flora and fauna help the ecology of the trackbed to return to how it would have been during the original operating life of the railway, it helps to boost the ecosystem generally. This ecological emphasis allows the project to appeal to a much wider audience than it would have otherwise done. 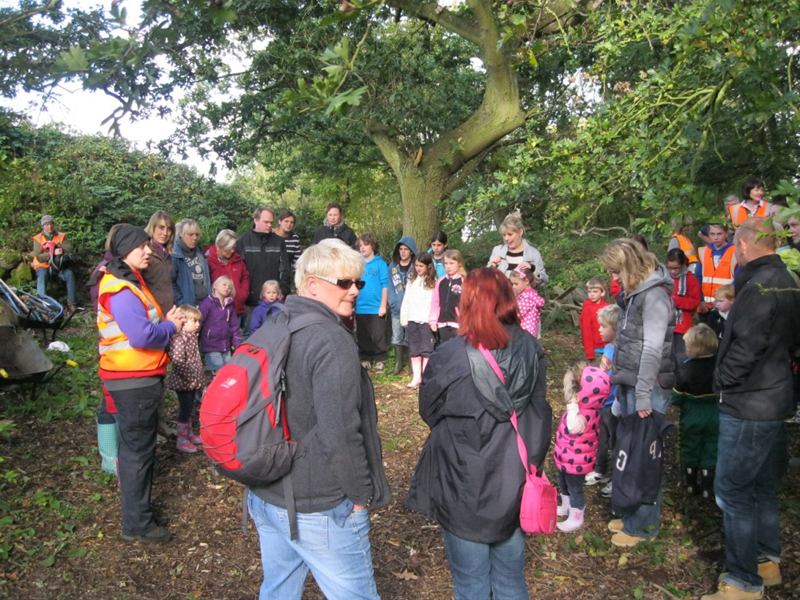 The junior ecology sessions gave very young children and their parents the opportunity to share an activity, recognising that involvement at this stage could well lead to general volunteering with the project in years to come. 2012 saw the creation of Mountsorrel Railway Wildlife Warriors, an ecology group for 3-11 year olds. Children attend with an adult on periodic Saturday afternoons with a different focus each time; e.g. Birds, Mini beasts, Trees, Plants and Hoghouses (hibernation homes for hedgehogs!). Other activities are included and feedback from parents is positive and invaluable. Meanwhile, hedgerows have been laid by our volunteer tree surgeon with the help of other project members. Over 1,100 sapling trees and bushes were planted along the line in the first quarter of 2012. As well as helping the hedges to thicken and regenerate, the process has also opened up views from the branch. When the line re-opens it should be possible to ride along this section behind a steam engine and see other steam trains crossing the viaduct over Swithland Reservoir, a quarter of a mile away. This is just another way in which the branch line will help to make the Great Central Railway unique in the heritage railway world. A number of young people became involved with wagon restoration including a team of local teenage girls, some of whom volunteered to work on the wagons as part of their Duke of Edinburgh award. Loughborough University and East Midlands Airport sponsored this aspect of the project because of the perceived educational benefits the wagons will bring. Phase 1 and Phase 2 track-laying are now complete and the track slewed, lifted and packed ready to receive trains. 2011 saw the first train on the branch since 1959 when top ballast was brought to the line and this was followed, a few months later, by the sight of the first steam locomotive on the restored section of the branch. consecutive days in November, 2012. 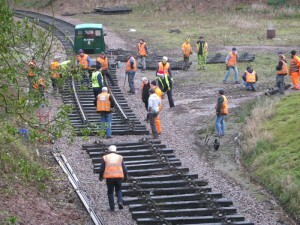 Both companies’ staff were able to help with a variety of tasks including track laying. 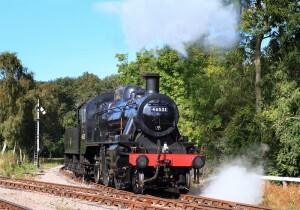 If your company or the company you work for encourages its staff to volunteer in the community, please get in touch via email to the Project Leader, Steve Cramp, at steve@mountsorrelrailway.org.uk . There are many different ways you could help us and your help would be very welcome indeed! 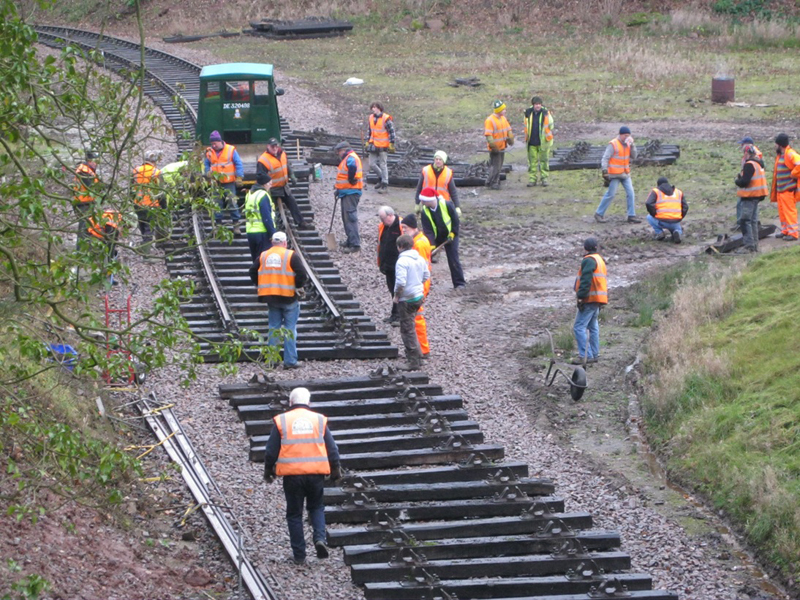 On 1st December, 2012 project volunteers mounted their last big track laying push of the year to take the head of steel through the Wood Lane bridge and back into Mountsorrel village. Passing through the Mountsorrel village boundary is a major milestone for the project and was a cause for celebration. 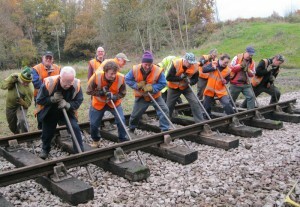 Almost all the 1300m of track we have laid so far has been away from publicly accessible areas, so to arrive at a point where the public can now see the great work that the community is doing to preserve its local heritage, has really given a major boost to the volunteers working on the project. We can look forward to reaching the site of the proposed terminal at Bond Lane, by March, 2013. This will only be possible with your help as more volunteers are needed to help the track laying process. If you can spare a few hours on an occasional Tuesday, Thursday or Saturday then please email the project leader Steve Cramp. Before this track laying is completed it is hoped that funding sources will have been investigated and discovered to help with the construction of a passenger halt at the end of the line. Shortly before the Wood Lane landmark was reached, volunteers agreed a shared vision for creating a nature trail through the wood just south of the line. The volunteers’ ideas involved a path, known as the Nunckley Trail, which would pass by as many as possible of the ecologically interesting areas that could be found, as well as the wealth of areas of historical interest that remain from the ruins of the old Dob Hall. The path will continue down to a picnic and viewing area where visitors will be able to watch the trains go by. It will then make its way past wood carvings (made by another of our volunteers) back up to the entrance at Wood Lane. The route is lined with logs down either side and in-filled with wood chippings to give a pleasant and clean surface to walk on. A long section of the trail has already been widened to its full width and our younger volunteers are making good progress with dropping chippings along the high path working their way down to the viewing area. The route takes in several open areas that will be used for future Wildlife Warrior ecology sessions. In total the path will be around one kilometre long so will make a very pleasant walk and supporting attraction to the railway. The group have created several areas for benches to be sited, looking out over both the railway and Nunckley Hill. The intention is to furnish the entire path with professional information boards to assist visitors with what they are seeing. When completed, the Mountsorrel Railway will give another revenue stream to the Great Central Railway and can give joined-up economic support for other tourist and visitor initiatives such as Stonehurst Farm, the proposed local Country Park and, possibly, a visitor centre at Lafarge Aggregates’ Mountsorrel Quarry. Mountsorrel and Rothley Community Heritage Centre, 240 Swithland Lane, Rothley, Leicestershire. LE7 7UE.